 Interested in joining the Rose City Rollers as an adult skater? Adult skaters joining at all skill levels (from never-been-on-skates to All Star, and every point in between) get started at Orientation. Orientation covers league basics, culture, dues, insurance, and meeting some people in the league. Derby 101: Whether you are a brand new skater or have spent some time on wheels, our Derby 101 class teaches you the basics in a focused and supportive environment. In this smaller class format we provide targeted instruction and constructive feedback, building skills like stops, falls and crossovers to get you rolling at full speed. New to roller derby? Never skated before? Don’t have your own gear? This is the place to start! This is roughly a 10 week session that meets weekly on Sunday mornings. We also have a gear rental program for you to access. Skills & Drills: Think you’re ready to hit the track in a pack? If your skills exceed those taught in Derby 101 and you can pass basic skills requirements and safely skate with others, Skills & Drills is the place for you. Skills & Drills will require an on-skates assessment directly after Orientation. Skills & Drills skaters will be assessed into levels ranging from foundational/light contact to full contact and scrimmage clearance. Skaters pay monthly dues and have access to all scheduled Skills & Drills practices. Advanced Skater: For skaters whose skills may be assessed at or beyond the highest Skills & Drills level, we have additional advanced and competitive track options. Most skaters joining at this level will be returning skaters or transfers from another league. Advanced skaters will join Skills & Drills assessments and be given additional information about our competitive bootcamp program & home team draft pool at orientation. Step 1: Click “Register” to get started! You will start by filling out a Membership Application. Step 2: RSVP to the Orientation! 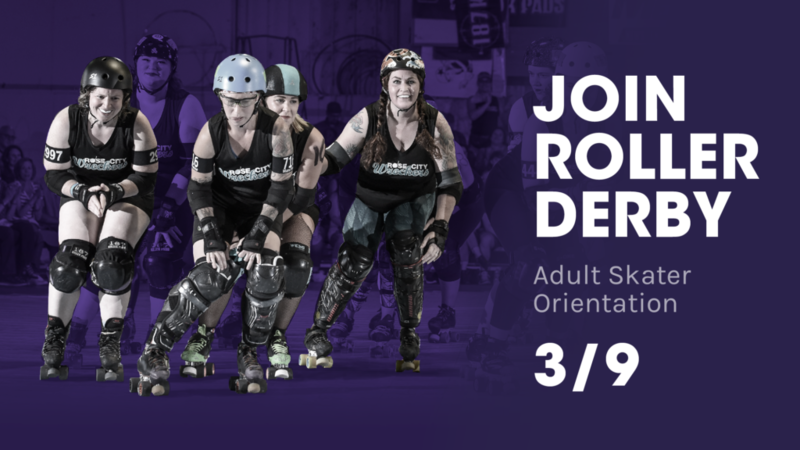 After you fill out your Membership Application, visit https://apex.rosecityrollers.com/event-3172026 to RSVP to the event. Please pick the option you think is the best fit for you, and we will help you make adjustments on the day of orientation if needed. Space is limited so don’t wait! PLEASE MAKE SURE TO COMPLETE BOTH STEPS TO GET FULLY REGISTERED FOR ORIENTATION!